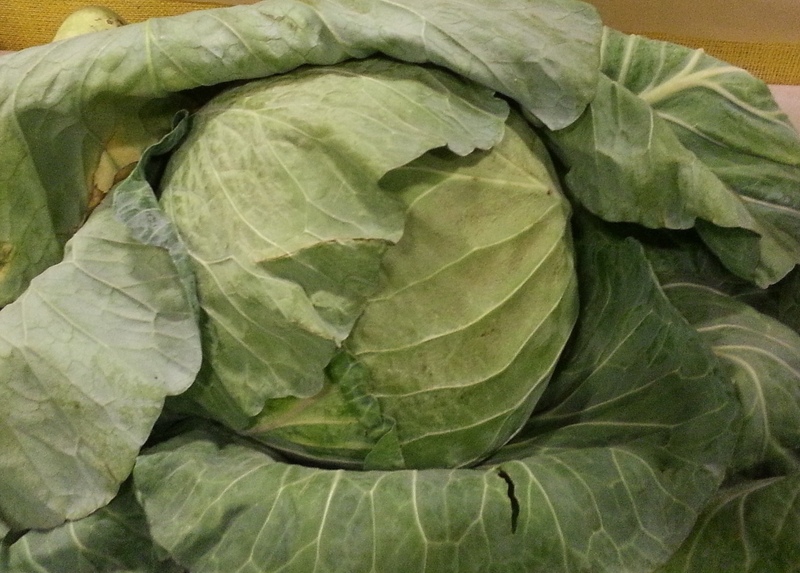 talkhealth > Blog > 2014/02 > The Cabbage Patch: Any Takers? The Cabbage Patch: Any Takers? So tell me, is it a good system or a bad one? Reproduction and all the joys and troubles it brings. Sometimes I think the cabbage patch would have been a better plan. If babies came from cabbage patches, we wouldn’t have to endure years of periods and then the turmoil of menopause. Would you trade the joy of a baby moving in utero for no hormonal woes? We’d still get to cuddle them, fresh and new; we’d just have to lift a few cabbage leaves to deliver them. How simple would that be? I suppose there would be a few other rules. But they could surely be endured with more ease than PMS, cramps, flooding, hot flashes, mood swings, and night sweats. We don’t get to decide, but it’s an interesting question to ponder. And it gave me an excuse to post the robust head of cabbage I photographed at the North Carolina State Fair. 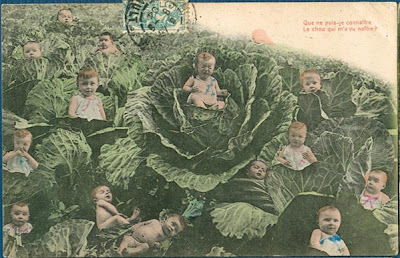 Love this vintage postcard of cabbage patch babies! Barbara Younger blogs from her home in Hillsborough, North Carolina. Along with Friend for the Ride: Encouraging Words for the Menopause Roller Coaster (http://friendfortheride.com), she writes books for children and adults. She lives in an old house with her husband Cliff. and collections of everything from dolls to buttons to bookmarks. She's the mother of two grown daughters and the grandmother to one adorable baby boy!